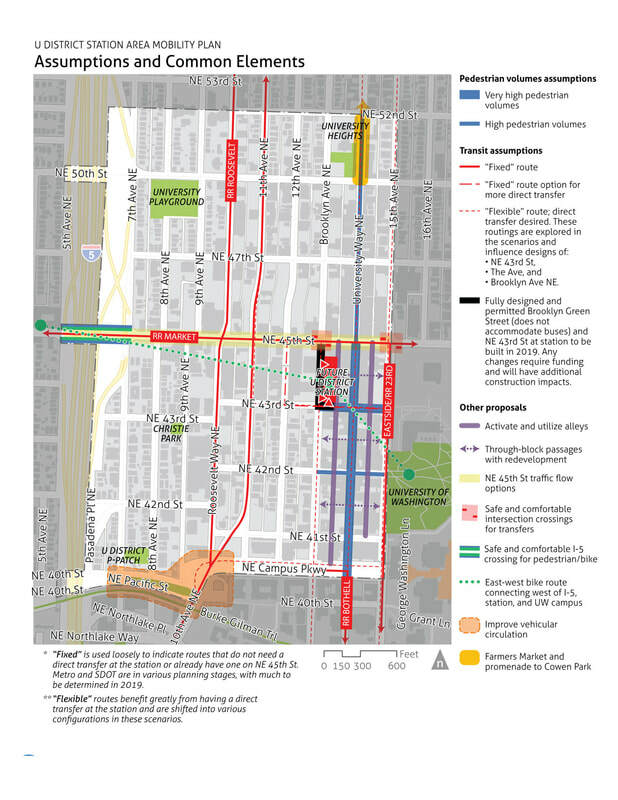 Buses are diverted from 15th Avenue NE one block earlier to travel west on NE 43rd Street to provide direct westbound bus transfers at the light rail station, then turns north on 12th Avenue NE. 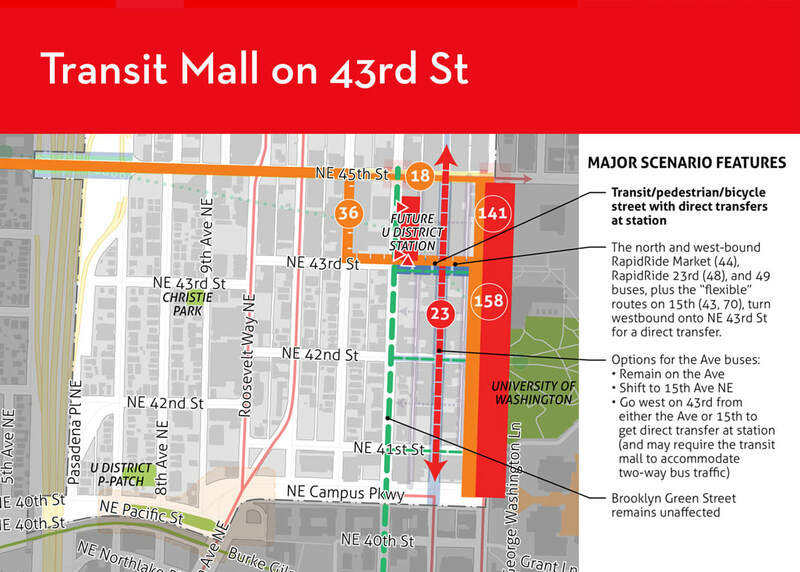 Eastbound buses remain on NE 45th Street. This is the preferred option of Metro.